With activities ranging from Jewish education, Israel involvement, and social events, Chapman Hillel gives our students different opportunities to engage with Judaism and Jewish students. We strive to connect with all students on campus and want to understand their needs so we can create the best experience for them. Check our Facebook Page for events. Every Friday during the year Chapman Hillel hosts Shabbat at the Fish Interfaith Center at 5:30PM which includes a Kabbalat Shabbat service and a Kosher meal. 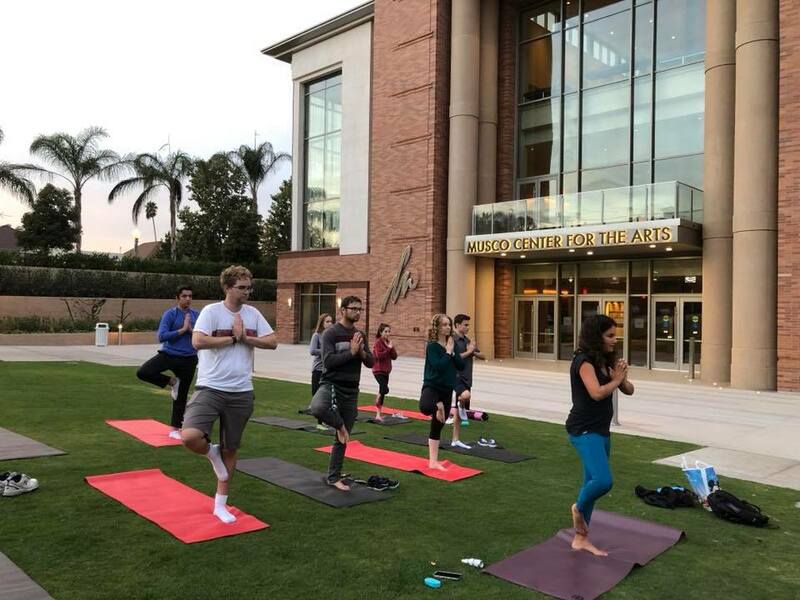 Hillel helps students stay healthy throughout the semester with a variety of activities including weekly yoga sessions and other outdoor activities. Chapman Hillel hosts meals, services, and other events during High Holidays. More information about specific holidays will be available closer to the date. Hillel students have the opportunity to give back to the community through a variety of events on or near campus as well as an alternative spring break. Meeting other Jewish students on campus is a huge part of Hillel. We have weekly Chillel with Hillel study breaks and fun social events like escape rooms and challah bakes. The Orange County Israel fellow hosts a variety of Israel-related discussions at bi-weekly Hebrew and Brew events and other Israel events. Hillel also offers a summer Birthright trip.